Access control maintenance is critical to ensure your system’s performance and to give you complete peace of mind that your access control is working effectively. At Paragon Fire and Security we offer routine preventative maintenance packages helping to prolong the life of your access control systems, as well as emergency response services where our experienced access control engineers can quickly service or replace equipment and resolve problems as they arise. 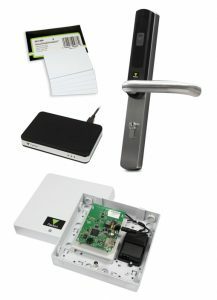 View our detailed access control service breakdown. We are SSAIB accredited and are approved partners for leading brands including ACT and Paxton, but are equally able to offer maintenance contracts on other brands already installed. Our access control servicing prices start from as little as £80 per visit dependant on the number of doors. This service contract entitles you to one service visit per year and 24 hour call out service with a maximum emergency response time of 4 hours. We offer fixed price servicing with all our access control servicing contracts for a minimum period of TWO years from contract start date. All our access control service contracts DO NOT have a tie in period or minimum term. Call us to discuss your access control maintenance needs on 01483 724484.